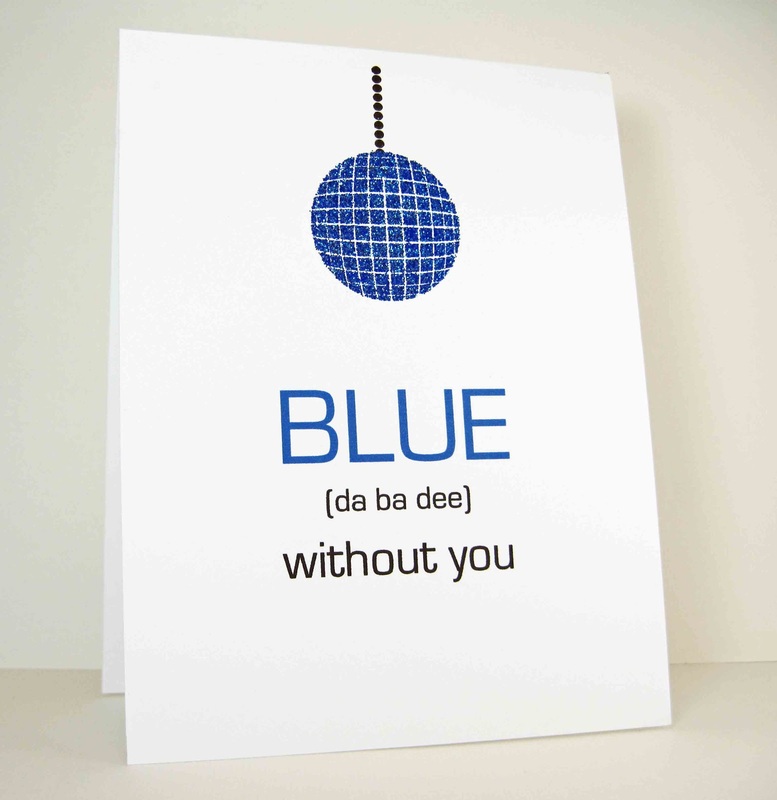 Okay, so if you're not a fan of dance music you may be completely mystified by the sentiment on this card! LOL! "Blue (Da Ba Dee)" is a song by Eiffel 65 and it's the first thing that came into my head when I saw this week's cue word. (Closely followed by Tommy Page's "Blue Nights". Shows the randomness of my musical tastes!) I thought the disco ball from The Craft's Meows' Retro Foundations set would be perfect for this and I just so happened to have bought a few jars of Zing embossing powder for the first time - including a jar of blue! How fun is that stuff? Gives such a great sparkle! Okay, let's see your take on Blue. Check out the fab creations by the rest of the design team and then get crackin' on some crafts! 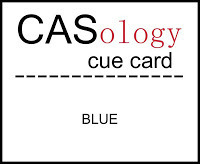 Link your creations to the CASology blog and remember that submissions are due by 4pm CST Sunday, 20 January. As soon as I saw your card I had a flashback to that song. Classic, lovin' the disco ball too! Thanks for sharing the video, in my head now for the rest of the day. Yep! Totally had a flashback when I saw your card! :) Love this take on the cue word! I was wondering if anyone would use a song!!! Showing my age (or something!) - never heard of it! But it was fun to watch and your card is supercool - love the disco ball! LOL! I love your card and know of the song! Do you remember that song "I'm a Barbie Girl"? It reminds me of the beat! Love the glitter disco ball! love, love, love your card, jen! that disco ball just makes me smile... i have never heard the song that inspired it, though! Can't say I'm familiar with Eiffel 65, Jen, but I do know a spiffy card when I see it and that would be yours! Love that ball and am putting that EP on my growing wish list!! You definitely found the creative take on this cue card. Aren't you clever! Love the card! Okay, I'm going to ask my hubby if he knows the song...I'm sure he does. I'm terrible with remembering artists and lyrics...doesn't stop me from singing though. The embossing on this is amazing and you know I LOVE the clean design! I love that retro disco ball! I'm not good with songs so I'm gonna have to look this one up. Sounds like fun! What a fun card! I'm a bit disappointed, though, that I did not recognize the song at first...I guess I am NOT the coolest mom ever. (But I must admit it IS catchy and I like it now!) Great Zing! 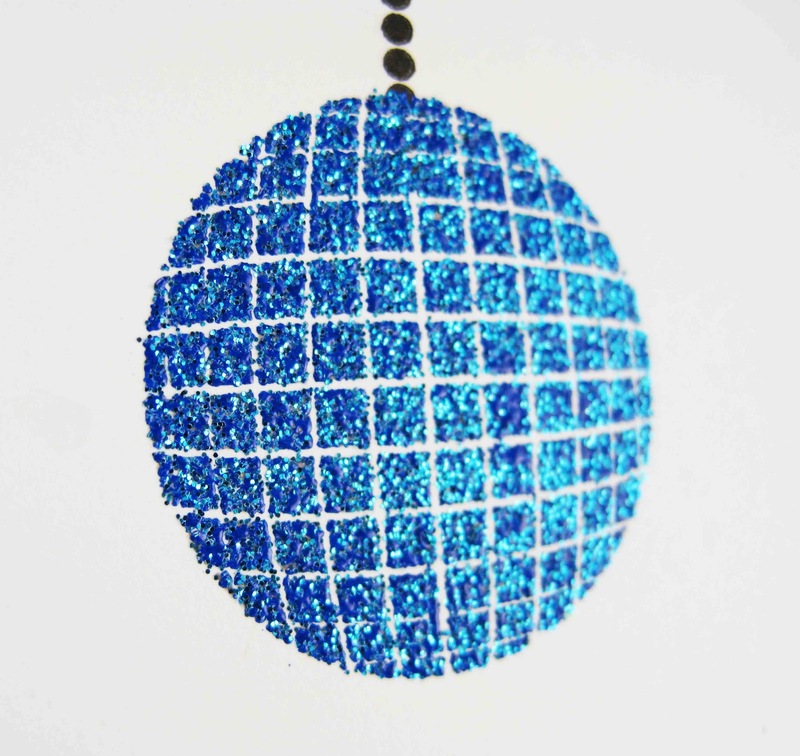 embossing powder on the disco ball...fun! Oooh, soooo happy to see the disco ball looking that cute with embossing powder! I do like that disco ball. How fun. Brings me back to my old high school days. OMG, I've never heard that song before - and now it will be in my head all day ;) I'm thinking I'm going to have to show Connor, because that is right up his alley! Your card is just too awesome - I'm loving the ZING (and must keep an eye out for it!) and the disco ball is indeed perfect. Lovin' that shiny 'blue' goodness! 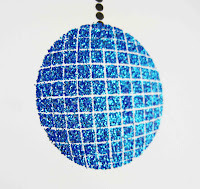 Love your sparkly blue disco ball! Fantastic card! Hilarious! 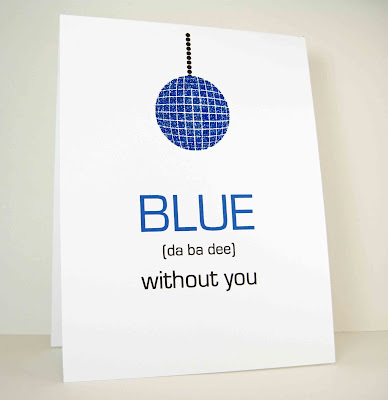 Love the card and the musical reference.